Did you hear the news yet? Yes, it’s true. Ryan Gosling as Neil Armstrong in the movie First Man, premiering this fall, the US release date is planned for October 12th, 2018. Watch the trailer and comment what do you think! The movie focuses on Neil Armstrong and the years 1961-1969. The First Man-movie is based on the book “First Man: The Life of Neil A. Armstrong” by James R. Hansen. The book is the first?and only?definitive authorized account of Apollo 11 astronaut Neil Armstrong, the man whose ?one small step? on Moon changed history in 1969. The book is based on over fifty hours of interviews with the extremely private Neil Armstrong, who also gave Hansen exclusive access to private documents and family sources, this ?magnificent panorama of the second half of the American twentieth century? is an unparalleled biography of an American icon. Hansen vividly recreates Armstrong?s career in flying, from his seventy-eight combat missions as a naval aviator flying over North Korea to his formative trans-atmospheric flights in the rocket-powered X-15 to his piloting Gemini VIII to the first-ever docking in space. For a pilot who cared more about flying to the Moon than he did about walking on it, Hansen asserts, Armstrong?s storied vocation exacted a dear personal toll, paid in kind by his wife and children. For the near-fifty years since the Moon landing, rumors have swirled around Armstrong concerning his dreams of space travel, his religious beliefs, and his private life. 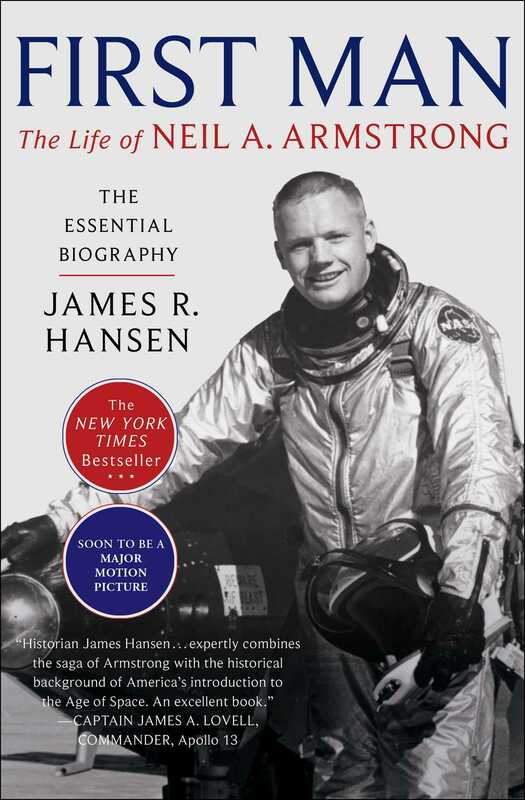 The book is a detailed story of an American hero, and Hansen addresses the complex legacy of the First Man, as an astronaut and as an individual, and the man who will forever be known as history?s most famous space traveler. Astronaut experiences aren?t limited to the movies, you can train like one from your own phone – download the Space Nation Navigator now.